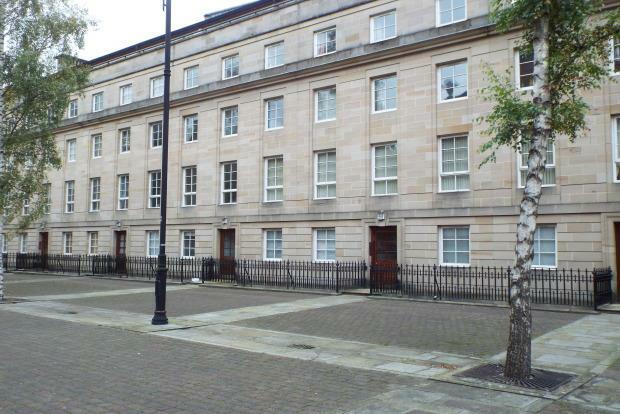 2 Bedroom Flat To Rent in Glasgow for £1,100 per Calendar Month. Come through to the beautifully refurbished lounge, bright and spacious with trendy laminate flooring and brand new quality sofas. New neutral decor keeps it fresh and those large windows allow the room to remain bright and airy. Across the hallway is the large brand new dining kitchen with a huge amount of worktop and storage space, dining table and chairs. The kitchen also consists of all mod cons including dishwasher, washing machine and fridge freezer. Next door to that are the two double bedrooms with built in mirrored wardrobes, brand new double beds with mattress. Each of the bedrooms have been given the star treatment with new carpets and dÃ©cor throughout. A family bathroom at the end of the hallway is smart with a three piece white suite with shower over the bath. This property would appeal to corporate clients and professional couples.